Michael enjoys his dinner, also. A pile of fried potatoes, which they do so well in this part of the world. 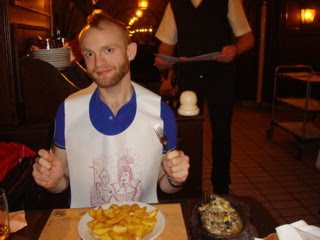 Only he got a bib... we don't know why.